The humble plum is our seasonal star this September. 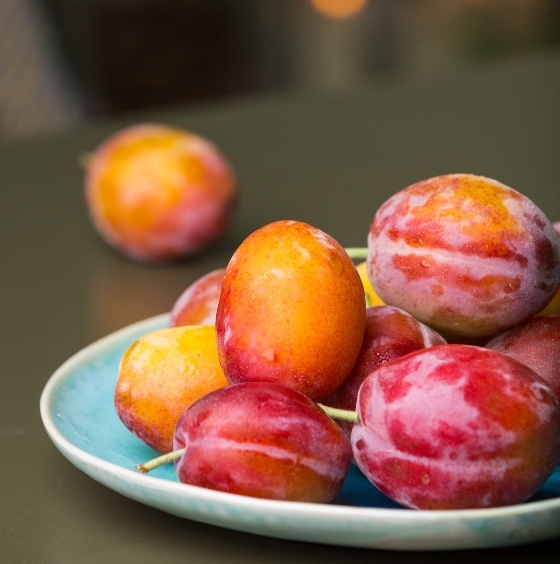 Equally as delicious straight from the tree as they are cooked down into jams, desserts and chutneys, this British stone fruit is as versatile as they come. Chef Clive has created a delicious menu for September which brilliantly utilises the flavours and textures of this fruit, perfectly bridging the seasonal gap. Our Victoria plum, tomato & feta salad combines sweet and salty flavours to create the perfect starter. Next, we’ve created a delicious plum sauce to complement our succulent slow-roast pork. Finally, we’ve stewed our ingredient of the month into a deeply flavoursome compote, topped with almond crumble alongside lashings of double cream. Enjoy two home-cooked courses from £11.95 this month*. View our full set menu here and book your table today.